Snapchat are continuing to take care of housekeeping ahead of their IPO. The latest measure is an interesting one: a new set of guidelines for anyone publishing content on Snapchat Discover. Now, anything which is devoid of 'editorial value', won't be allowed through the gates, which in this case means any violent, explicitly sexual or profane content, unless the content is especially relevant to the article in question. Explicit images which appear in a newsworthy article will have an obscuring warning banner over them, there are also plans to give publishers the means to 'child lock' their content so that only over 18s can view certain content. 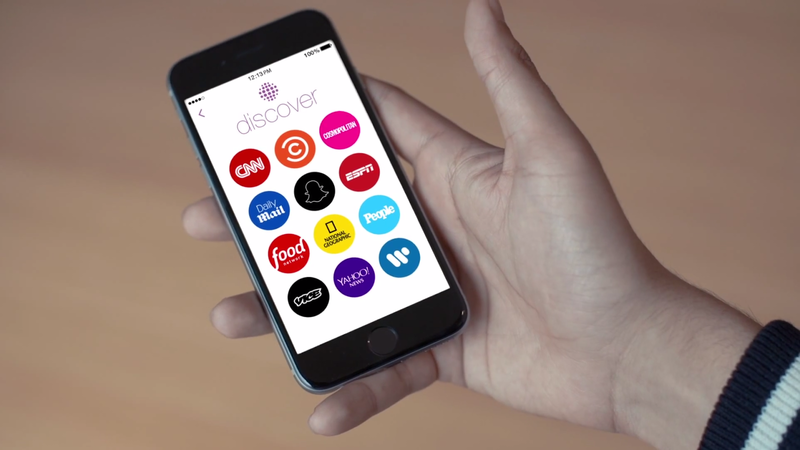 Given that Snapchat Discover partners include The Sun, Vice and BuzzFeed, these changes are unlikely to pass by unnoticed. Judging from statements made by Snapchat about this, it seems like they're keen to make sure that Discover remains a credible and reliable news source. The fact that they've already been sued once for allegedly allowing minors to access explicit content probably has something to do with it as well. Press regulation is dodgy territory, but as much as it might look like it, Snapchat aren't trying to muzzle anyone, it's just making sure that none of the publishers take advantage of the service to publish material that's useful for them, but not the audience. In layman's terms - no clickbait, no image-laden non-stories. Any decent publisher shouldn't have any problem with that.